In early 1946, after the end of WWII, the International Red Cross Committee was sent to the Soviet Union to estimate the magnitude of destruction and how to help survivors. While touring many places around the Soviet Union, the committee stopped in a few towns and shtetls in Belarus. Among the committee members was the Joint Distribution Committee’s representative, who compiled a list of those who had survived the Holocaust and returned to their pre-war homes. The goal was to send parcels of food and clothing to those people and families. The list includes more than 80 heads of Jewish households in Belarus, including names, place of residency and, in some cases, the address. In the mid-19th-century, one goal of the Russian government was to encourage Jews to work the land. The government provided land in six guberniyas (provinces) of the Russian Empire for this purpose, including Yekaterinoslavskaya guberniya (today Dnepropetrovsk and Zaporozh’ye region in Ukraine). One of these was the agricultural colony of Mezhirech. The Tzar provided many benefits for Jews who moved to these agricultural colonies. They received free land, government-built houses, no-interest government loans to buy cattle, paid moving expenses and, importantly, their sons were exempt from the 25-year army conscription. In summer 1846, 40 Jewish families from the town of Mogilev and Mogilev guberniya set off on a two-week journey by horse to Yekaterinoslavskaya guberniya. When the group arrived, they discovered that their promised houses weren’t ready, and they were housed in peasant homes in nearby villages. In fall 1847, the new houses were finally ready, a year later. The walls were constructed of clay, the roofs of dry grass. In spring 1848, the population, almost all adults, was sick with scurvy, while 30 others had died from various illnesses during the winter. 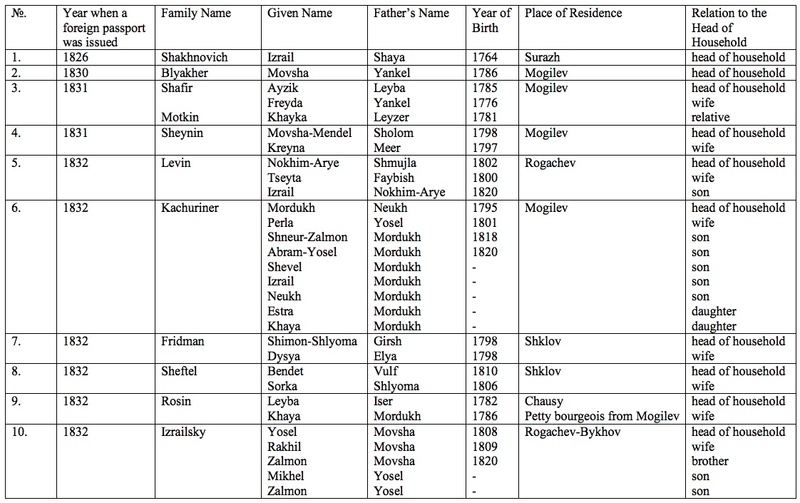 In 1853, another group of Jews from Mogilev guberniya joined the settlers, and the total population of Mezhirech was 372 residents. By 1890, this colony had became one of the most successful in the region. Each family lived in its own wooden house; each family had two or more cows. The colony also had its own synagogue, mikvah, Jewish day school and cemetery. In the first half of the 19th century, Minsk had two Jewish cemeteries. One was closed to burials in 1851. In the 1920s, it was destroyed by the Communists and the campus of the Belorussian State University was built on its grounds. The other Jewish cemetery was closed to burials in 1898. In 1934, this cemetery was also destroyed and replaced by the “Dinamo” stadium. In 1867, the Jewish residents of Minsk appealed to the governor with a request to purchase land for a new Jewish cemetery. A year later, the request was granted. By the end of the 19th century, this cemetery was filled to capacity. In December 1900, the Jewish community purchased an additional site, on Sukhaya Street, to expand the cemetery. During World War II, some Minsk ghetto residents were murdered in that cemetery. In 1951, the Minsk town government closed the cemetery to new burials and, in 1972, announced in the newspapers that the site would be replaced by new construction. Some people whose relatives were buried there were able to move the graves to other cemeteries in Minsk, but there were many graves whose relatives had already immigrated and were not there to re-bury them elewhere. By 1990, most of the cemetery was destroyed and new administration buildings were built, but there remained a small corner of the cemetery. There were plans to build, on that site, an open summer cinema and dance pavilion but – thanks to the intervention of various world Jewish organizations – those plans were stopped. Later on, unfortunately, the remaining corner of the cemetery was destroyed, and replaced by a small city park. Some 30 gravestones survived. They were collected and moved to the memorials for Jews from Eastern and Western Europe who were killed in the Minsk ghetto. Listed below is the 1901 list of 45 donors from the Minsk Jewish community who had each donated more than 100 rubles for the new Minsk Jewish cemetery. At the time, the price of an average house in the city was about 300-400 rubles. Earlier in May 2014 we already published a list of synagogues of Mozyr uezd with names of town, rabbi and staff. Today we are posting a similar list of synagogue of Minsk uezd. Former building of the synagogue in shtetl Ivenetz. The building was returned to the jewish community of Belarus and currently remains vacant. According to the 1850 Census of the Russian Empire, the Jewish population had grown more than half since the previous census in 1834 to 2,350,00 people. Within the Pale of Settlement, 25 percent of the population was Jewish. Therefore, the Russian government began receiving many more inquiries for the construction of synagogues. In 1853, the Russian government conducted an inventory of the existing synagogues. Its purpose was to have a better count of the operating synagogues. The government’s findings indicated that synagogues in a majority of shtetls within the Pale of Settlement had been built without obtaining the necessary construction permits, and, as the government’s document indicates, they had been operating since the “beginning of time”. The archive’s document mentions following shtetls: SAMOKHVALOVICHI, OSTROSHITSKY GORODOK, RAKOV, IVENETS, KAMEN, STOLBTSY, SVERZHEN, KOYDANOVO, RUBEZHEVICHY. In the mid-19th century, “door-to-door” sales became very popular in the Russian Empire. This type of business required only the payment of a small tax, and there were no overhead expenses (no rent for a store, for example). Booksellers were also successfully selling their books by this method. However, they were required to comply with an 1845 law, which regulated what books they were allowed to sell. For example, the approved books could not criticize Christianity, or encourage conversion, or have pictures of inappropriately-dressed people, and they must also be respectful of the Tzar and his family. At that time, the most famous publisher in the Russian Empire was “Widow and Brothers Romm,” in Vilno. 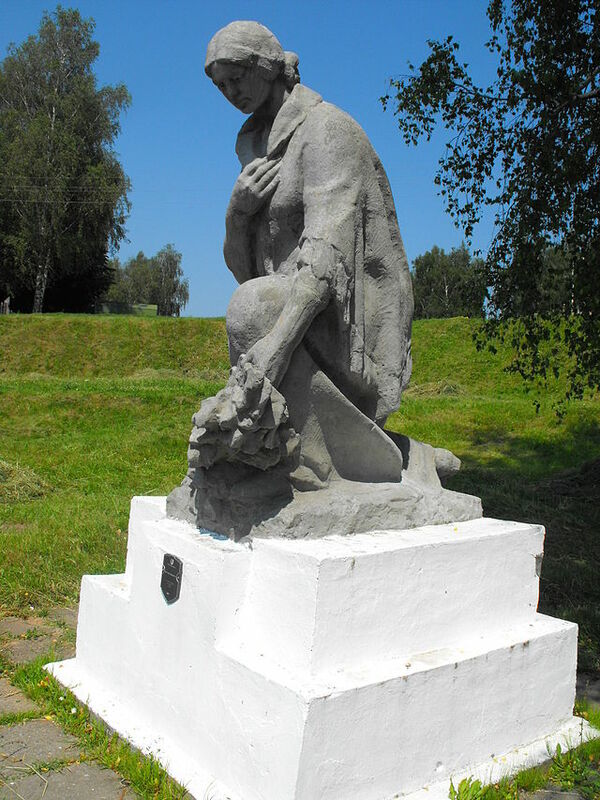 It was founded in 1799 in the town of Grodno by Monos Romm and his son, Borukh. In 1803, Zimel Nakhimovich of Grodno joined the printing house and the company moved to Vilno. The company mainly published Jewish religious books. From 1880-1886, it published the “Babylonian Talmud with commentary,” in 100 volumes. This set became very popular, and was later reprinted in Israel and in the US. The company had its own network of distributors, who obtained licenses to sell the books it published. Following the 1917 Revolution, the Communists needed Jewish propagandists for their philosophy who would travel to shtetls (Jewish villages and hamlets) and explain the events of the Revolution and what it meant for the country. They had to explain this to the residents, many of whom were illiterate and couldn’t even speak Russian. These young people were prepared over a course of three months. Following their graduation, they received a good salary and traveled from shtetl to shtetl to spread the idea of communism. The young people, who became proponents of the new idea, were literate Jews, and the main requirement for the job was that they both read and spoke Russian and Yiddish. In Belarus, the school for the agitators was in Minsk, and it opened on January 1, 1922; 35 new Jewish agitators graduated on April 1, 1922. The students were residents of Bobruisk, Mozyr, Minsk, Borisov, Slutzk, Nesvizh, Orsha and Brest. In 1917, when the Communists in the former Russian Empire took power, traditional Jewish life was forced to go underground. The main wave of synagogue closings took place from 1922-23. By 1926, in Belarus, only 37 synagogues were open. By 1939, there were only 4. As a result, in almost every town underground cheders were organized. However, during 1937-1938, most of Jewish teachers (melamedim) were arrested and were either sent to Siberia or murdered. After World War II, the Jews who had survived the Holocaust returned to their hometowns and tried to officially register their Jewish religious communities. From 1948-1953, some 31 towns submitted requests to the Ministry of Religion. These towns included: Minsk, Gomel, Vitebsk, Brest, Pinsk, Mozyr, Rechitsa, Zhlobin, Gluzsk, Parichy, Braslav, Lepel, Polotzk, Drissa, Orsha, Klimovichy, Borisov, Polotzk, Baranovichy, Kalinkovichy, Slutzk , Chechersk, Krichev, Bragin, Osipovichy, Bykhov, Ragachev, Kopyl, Krasnopol’ye, Bobruisk and Khoyniki. However, only two towns – Minsk and Kalinkovichy – received approval to register their religious communities. Jews still gathered together quietly to pray – forbidden by law – in private apartments or houses. Here is a 1949 list of Gomel residents, heads of minyans or those who provided their homes as a place for the minyans to gather, and who were fined by the government for doing so. During ground-breaking for construction of a new apartment building in Volozhyn, a mass burial site was discovered for Jews killed during the Holocaust. About a year ago, the Volozhyn town administration granted a construction permit for construction of the new building on the site of an abandoned stadium in the town center. It is a known fact that there is a Holocaust memorial not far from the stadium remembering the extermination of more than 200 young Jews, ages 16-25. Local elderly residents said that although the monument is located not far from the stadium, the actual mass grave must be somewhere along the stadium’s perimeter. The town administration sent a specially trained battalion to research the area and, during the first day of work, human remains were found. Currently, the remains of more than 150 people have been found, along with clothing, shoes and personal items. The future of these remains is to be determined. The town authorities said they would cancel the construction project and that they are considering the building of an avenue lined with trees as a memorial to Nazi victims. 1826-1832: Jewish pilgrims to Palestine from Mogilev guberniya. We found an interesting file with copies of identification documents of Jews from Mogilev guberniya traveling to Palestine as pilgrims, 1826-1832. These documents provide the name of the traveler and family members, as well as physical descriptions. Poor people couldn’t afford this type of travel. We can only imagine how difficult their journey was without trains or planes. Imagine how high their motivation! We wish you and your families health, peace and prosperity in the coming years.